Ready to Have Your Storage Software-Defined? Is Software-Defined Storage in Your Future? Software-Defined Data Center: Is Your Infrastructure Ready? FlexPod with Microsoft Private Cloud won a Best of TechEd 2013 award in the Systems Management category. The Best of TechEd awards, cosponsored by Microsoft and Windows IT Pro, recognize Microsoft partners that offer innovative products and services. NetApp was chosen as the Microsoft Server Platform Partner of the Year for 2013 for the way that FlexPod "helps customers easily deploy highly scalable Microsoft Private Cloud solutions." This article is the first in a series on the NetApp® cloud that explores how we help you to take full advantage of private, public, and hyperscale cloud resources. In the past, IT functioned as the primary builder of business services for an organization. Today, however, with the explosion of new web services, rapid growth in mobile devices, and new technologies like flash and cloud computing, smart IT teams are increasingly moving from focusing on building applications and operating data centers to being brokers of information services. This means embracing new technologies and new service models that allow you to make IT faster, cheaper, and smarter and to make your company more responsive and more competitive. In short, you have to start thinking like a service provider. Although you may still rely in large part on your own infrastructure, resources in the public cloud—whether from cloud service providers or hyperscale cloud providers such as Amazon Web Services (AWS) and Microsoft® Azure—have become increasingly attractive. When you begin to consider a hybrid cloud model integrating resources from your private cloud with a public cloud, inevitable challenges arise. How can you keep control of data governance, access, performance, availability, protection, and security while maintaining or improving operational efficiency? How can you move data where you need it when you need it? The result is a "cloud data fabric" connecting different types of clouds. 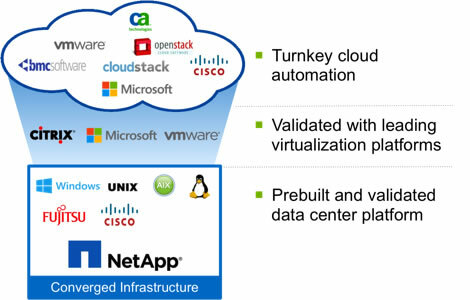 Figure 1) NetApp connects your existing infrastructure or private cloud with cloud service providers and hyperscale providers such as Amazon Web Services. This series of articles will look at how NetApp enables you to take full advantage of the cloud—private clouds, cloud service providers, and hyperscale cloud providers—and how we simplify joining the pieces together to form a more efficient and productive hybrid cloud. This article focuses specifically on the private cloud and the capabilities of NetApp Workflow Automation—with more to come on cloud service and hyperscale cloud providers in the coming months. The clustered Data ONTAP® operating system integrates the features you need to automate your data center and create a private cloud. Capabilities like nondisruptive operations, advanced storage efficiency, and much more are built in, and every release adds new capabilities. Clustered Data ONTAP uses storage containers called storage virtual machines (SVMs) that let you pool virtual resources and provide secure multi-tenancy. SVMs decouple data access from physical storage devices. A NetApp storage cluster can be subdivided into distinct SVMs, each governed by its own rights and permissions. SVMs are used to securely isolate individual tenants—for instance, in a service provider environment—or individual applications, workgroups, business units, and so on. Because an SVM isn't tied to particular physical resources, you can adjust its resources without disruption. There are four fundamental elements that you need to deliver storage services for a private cloud. Table 1) The four fundamental elements for a private cloud. Service catalog Define your services with well-defined policies that automatically map service levels to storage attributes. Service analytics Optimize your services with centralized monitoring, metering, and chargeback to enhance visibility and both cost and SLA management. Automation Rapidly deploy your services by integrating and automating provisioning, protection, and operational processes. Self-service Empower IT and your end users by enabling service requests to be fulfilled through a self-service portal. Over the past several years, NetApp has been working steadily on these capabilities so that cloud services can take full advantage of all the unique capabilities of NetApp storage and clustered Data ONTAP, including integrated data protection and storage efficiency. Figure 2) OnCommand tools for enabling elements of a private cloud. One tool in particular—OnCommand Workflow Automation—has evolved to offer tremendous functionality and, up to this point, hasn't gotten the recognition it deserves—at least not in the Tech OnTap® newsletter. 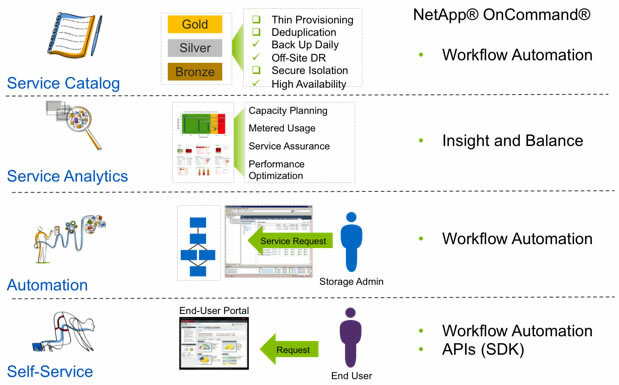 Workflow Automation (WFA) is free with your NetApp purchase and provides an extensible automation platform that can be used to build high-value, flexible cloud solutions that enforce standards and adhere to your best practices to deliver superior results. WFA is a highly flexible automation framework that allows you to automate almost any storage process—from the simplest workflow to the most complex. The WFA toolset provides a consistent way to define and execute common and/or repeatable processes that you might otherwise perform from the command line, from a script, or using System Manager. With WFA you can define workflows to create volumes, LUNs, qtrees, shares, and so on, and give each the proper level of data protection and storage efficiency automatically. Storage resources are dynamically allocated according to your plan, and you can make calls to other services such as VMware®. You can think of WFA as a "light" orchestration tool concerned chiefly with NetApp storage; this is consistent with the philosophy of putting specific controls as close to the element being controlled as possible. NetApp recommends installing WFA on a dedicated server (or VM) running Windows® with the NetApp Data ONTAP Windows PowerShell™ toolkit module. In order to fully utilize the capabilities of WFA you need to have installed OnCommand Unified Manager in your environment (it serves as a data source). WFA provides a web portal so that common tasks can be run directly by users without storage administrator involvement. This can form the basis of "self-service" storage provisioning in some environments. Administrators create workflows and publish them to the portal, identifying who is authorized to initiate them. The WFA portal divides available workflows into categories such as data protection and storage provisioning, making it easy to locate previously created workflows. Each workflow appears in its own tile and can be previewed or executed. Icons on the tile let you quickly distinguish 7-Mode from clustered Data ONTAP workflows, find out more information, or—for administrators and architects—edit and update the workflow. Figure 3) The OnCommand Workflow Automation portal. You can even create workflows that use performance information during resource selection. WFA provides 20+ certified example workflows covering both 7-Mode and clustered Data ONTAP that address the most common use cases. These can be used as a starting point for creating the workflows you require. A significant amount of content also is available on the NetApp OnCommand WFA Community site, which can be customized to meet your needs. WFA also provides a point of integration for NetApp storage with higher-order systems, such as enterprise-wide orchestration tools. Since it presents a web-services front end, one benefit of using WFA this way is that storage workflows can be defined in WFA and called from various orchestration tools. Workflows are made available through a web-services interface using representational state transfer (REST) protocol requests. REST APIs are the primary APIs supported for all WFA actions including execute, preview, approve, reject, and schedule. The ability to define storage services is only the first step in cloud integration; you have to be able to make those storage services available in a way that makes it easy for your users to consume them. In some situations, the WFA portal may be adequate, but many of you will probably need to integrate your NetApp storage with other cloud tools you use. NetApp is widely regarded as an industry leader in this area, providing API integration with a broad set of technology partners. As Figure 4 illustrates, we provide broad integration with a wide range of cloud automation partners and virtualization platforms. 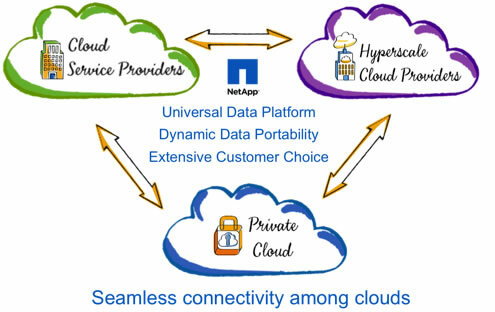 Figure 4) NetApp integration options for private cloud infrastructure. In addition, in conjunction with Cisco we offer the FlexPod® Datacenter platform, the leading integrated infrastructure solution according to IDC. FlexPod combines NetApp FAS storage with Cisco® Nexus® networking and Cisco UCS® servers to create a shared multi-tenant architecture with a flexible, modular design. NetApp and Cisco have worked hard to provide an open management ecosystem for FlexPod, an important point of differentiation from other converged infrastructure solutions. FlexPod includes UCS Director, based on Cisco's recent acquisition of Cloupia, for converged infrastructure management. It provides support for leading commercial and open-source management tools and also includes end-to-end open APIs. In addition, NetApp is working to provide workflow templates for WFA that are tailored specifically to cloud environments. 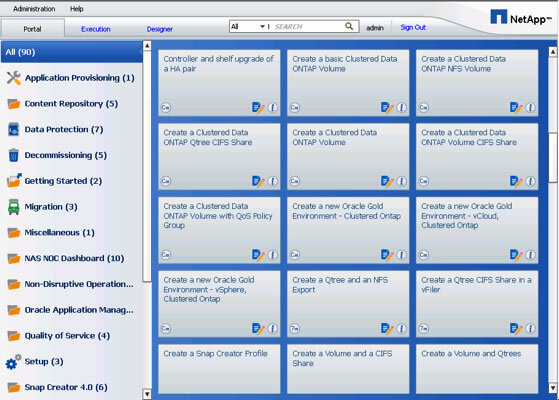 These workflows will provide standard storage service catalog capabilities that map to Gold, Silver, and Bronze service levels. As with other templates, you'll be able to customize them to meet your specific SLAs. FlexPod with Microsoft Private Cloud won the Best of TechEd 2013 award for systems management and NetApp was chosen as the Microsoft Server Platform Partner of the Year. A recent Tech OnTap article describes how converged infrastructure—especially FlexPod—can be ideal for anyone deploying a software-defined data center or private cloud. When it comes to cloud deployment, you need a storage vendor who can support all your requirements, whether that means a private cloud, public cloud, or hyperscale cloud provider. NetApp is working hard to enable you to succeed in any cloud environment, and to break down the barriers that keep you from using whatever resources make sense—whenever they make sense. This article focuses on the private cloud, specifically on how OnCommand Workflow Automation can enable you to quickly create storage services that can be integrated with a wide variety of cloud orchestration solutions. Future articles will focus on integration with cloud service providers and hyperscale cloud providers. Brad joined NetApp from IDC, where he dedicated 13 years to all aspects of the storage industry, including storage hardware, professional services, and the cloud. While there, he created the well-known and highly regarded disk storage systems tracker. Since joining NetApp, Brad has focused on overseeing the NetApp cloud strategy, including solutions that span private, public, and hyperscale clouds. Would you please advice the advantage of NetApp cloud vs AWS ? Thanks in advance + looking forward to hear from you.